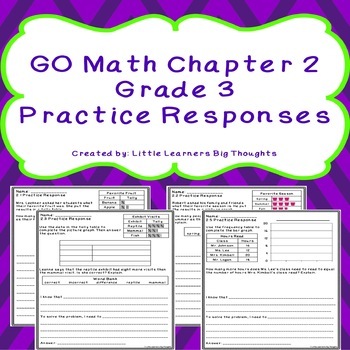 This set of responses are aligned to Go Math Chapter 2 for 3rd grade. 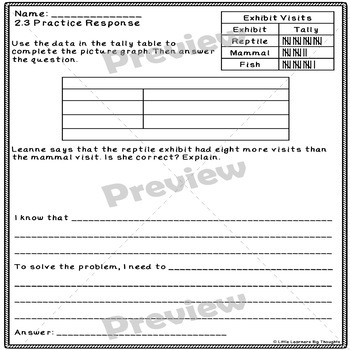 These practice responses help students practice explaining how they solved a problem in writing. They also help to demonstrate a solid understanding of the concept. 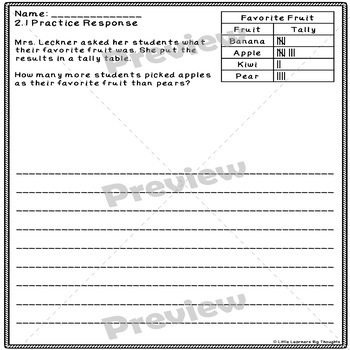 I’ve included two options for a cover sheet if you would like to print it as a packet for your students. These pair well with GO Math Chapter 2 Task Cards Grade 3 for a complete chapter review. 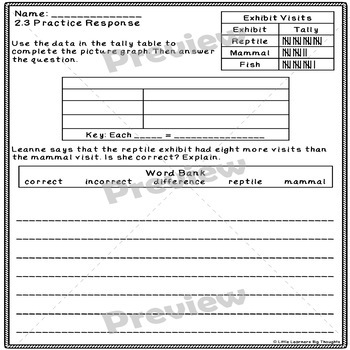 Follow my store to be notified when additional practice responses are available! Please leave feedback and earn TPT credits towards future purchases.